Pretty and practical, the Antique Embossed Heritage Party Tub 5-1/2 Gallons will raise the quality of your beverage service to a new level. 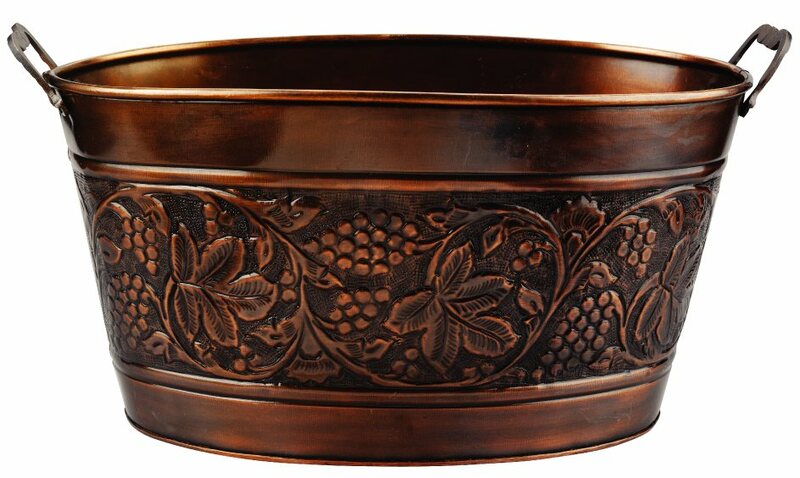 This generously sized beverage tub has an embossed grapevine design that contributes to its antique look. The oval-shaped party tub has a handle on both ends that help with transport.